The Oreo is a cookie that should be celebrated for all time, and at all occasions, for its versatility, for its dependability, for itself. But there are limits. This is one of those limits. 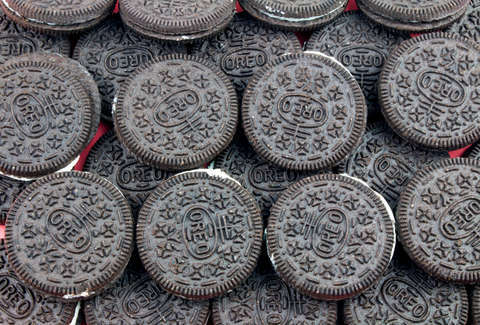 In short, 10 high school football players have been suspended for running across a football field, naked, with Oreo cookies perched between their buttocks, according to a report by the Rockford Register Star. We wish we could just move on now, but we recognize that this deserves some explanation. These students at Byron High School in Illinois were voluntarily participating in what is being called the "Oreo run." After interviewing nearly 30 players and the coaching staff, the administration determined that this wasn't a hazing incident. It's worth dwelling on that for a minute. These young men, of their own volition, decided this was the best way to spend... however long it takes to trot across a field with an Oreo wedged about your posterior. The Oreo run happened on October 26, a day that shall live in infamy, but those in charge didn't find out until November 8. Then, a letter had to be sent to parents of those involved, a document that included this incredible sentence: "He admitted to running across the football field, without his clothes, while Carrying an Oreo cookie between his buttocks." Possibly because of the resulting three-game suspensions, the team suffered its only loss of the season at the Class 3A state championship. But it's for the individual players to decide whether walking among giants -- sorry, we mean, wedging a beloved American cookie in their behinds -- was worth it.